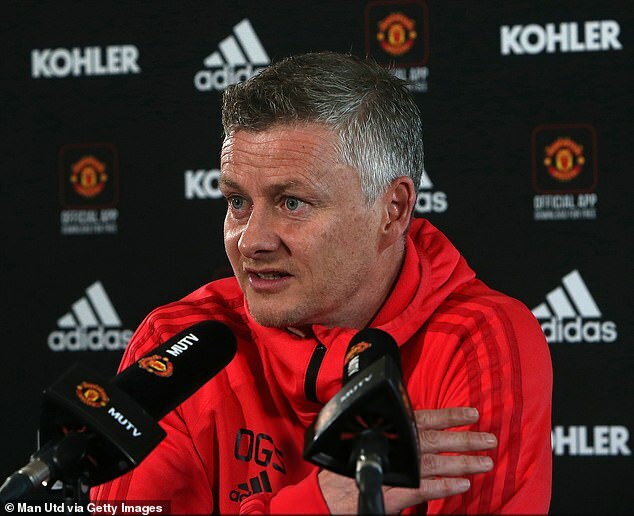 Manchester United players will be axed this summer as part of a ruthless ‘survival of the best’ cull at Old Trafford, manager Ole Gunnar Solskjaer has warned. ‘I’m under no illusions that this is not going to be plain sailing, it’s going to be hard,’ he said. ‘It’s going to be survival of the fittest – or survival of the best. That’s how ruthless we have to be. 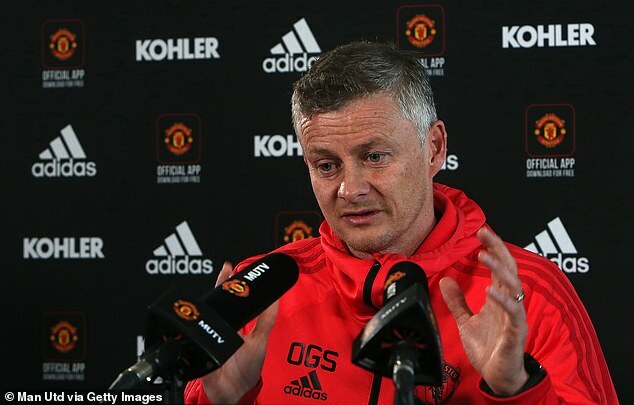 ‘We need players here who are going to be able to take us forward. That means culture in the dressing-room, and what we do every single day here to make us challenge again. ‘Liverpool and Man City are too far head at the moment for what we like. We played against a Barcelona team that sets the standard in European football. 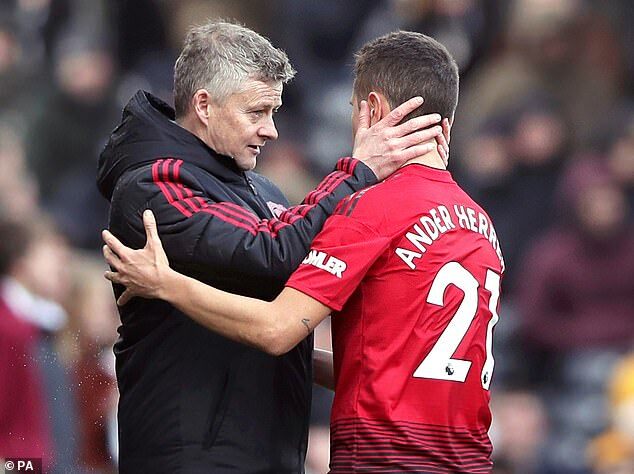 ‘We have a certain standard here,’ added Solskjaer. ‘We got a great boost, now it’s more challenging times with the results and performances. ‘You want to see players step up now and say, “I want to be part of this”. You saw Fred and Scott the other day took the mantle up. That’s what we expect from all the players. ‘When you win 5-0 or when you’re 3-0 up or when you win five games on the bounce, it’s easy to be a footballer.